Deputy Surkov’s speech in the Duma during the debate on the Synod estimates, and the discussion that arose within our Duma group when it considered the draft of this speech (both printed in this issue) have raised a question which is of extreme importance and urgency at this particular moment. An interest in everything connected with religion is undoubtedly being shown today by wide circles of “society”, and has penetrated into the ranks of intellectuals standing close to the working-class movement, as well as into certain circles of the workers. It is the absolute duty of Social-Democrats to make a public statement of their attitude towards religion. Social-Democracy bases its whole world-outlook on scientific socialism, i. e., Marxism. The philosophical basis of Marxism, as Marx and Engels repeatedly declared, is dialectical materialism, which has fully taken over the historical traditions of eighteenth-century materialism in France and of Feuerbach (first half of the nineteenth century) in Germany—a materialism which is absolutely atheistic and positively hostile to all religion. Let us recall that the whole of Engels’s Anti-Dühring, which Marx read in manuscript, is an indictment of the materialist and atheist Dühring for not being a consistent materialist and for leaving loopholes for religion and religious philosophy. Let us recall that in his essay on Ludwig Feuerbach, Engels reproaches Feuerbach for combating religion not in order to destroy it, but in order to renovate it, to invent a new, “exalted” religion, and so forth. Religion is the opium of the people—this dictum by Marx is the corner-stone of the whole Marxist outlook on religion. [ See K. Marx, Contribution to the Critique of the Hegelian Philosophy of Right. Introduction. (K. Marx and F. Engels, On Religion, Moscow, 1957, p. 42.) ] Marxism has always regarded all modern religions and churches, and each and every religious organisation, as instruments of bourgeois reaction that serve to defend exploitation and to befuddle the working class. At the same time Engels frequently condemned the efforts of people who desired to be “more left” or “more revolutionary” than the Social-Democrats, to introduce into the programme of the workers’ party an explicit proclamation of atheism, in the sense of declaring war on religion. Commenting in 1874 on the famous manifesto of the Blanquist fugitive Communards who were living in exile in London, Engels called their vociferous proclamation of war on religion a piece of stupidity, and stated that such a declaration of war was the best way to revive interest in religion and to prevent it from really dying out. Engels blamed the Blanquists for being unable to understand that only the class struggle of the working masses could, by comprehensively drawing the widest strata of the proletariat into conscious and revolutionary social practice, really free the oppressed masses from the yoke of religion, whereas to proclaim that war on religion was a political task of the workers’ party was just anarchistic phrase-mongering. [ See F. Engels, “Flüchtlings-Literatur. II. Das Programme der Blanquisten”. ] And in 1877, too, in his Anti-Dühring, while ruthlessly attacking the slightest concessions made by Dühring the philosopher to idealism and religion, Engels no less resolutely condemns Dühring’s pseudo-revolutionary idea that religion should be prohibited in socialist society. To declare such a war on religion, Engels says, is to “out-Bismarck Bismarck”, i. e., to repeat the folly of Bismarck’s struggle against the clericals (the notorious “Struggle for Culture”, Kulturkampf, i.e., the struggle Bismarck waged in the 1870s against the German Catholic party, the “Centre” party, by means of a police persecution of Catholicism). By this struggle Bismarck only stimulated the militant clericalism of the Catholics, and only injured the work of real culture, because he gave prominence to religious divisions rather than political divisions, and diverted the attention of some sections of the working class and of the other democratic elements away from the urgent tasks of the class and revolutionary struggle to the most superficial and false bourgeois anti-clericalism. Accusing the would-be ultra-revolutionary Dühring of wanting to repeat Bismarck’s folly in another form, Engels insisted that the workers’ party should have the ability to work patiently at the task of organising and educating the proletariat, which would lead to the dying out of religion, and not throw itself into the gamble of a political war on religion. [ See F. Engels, Anti-Dühring, Moscow, 1959, pp. 434-37. ] This view has become part of the very essence of German Social-Democracy, which, for example, advocated freedom for the Jesuits, their admission into Germany, and the complete abandonment of police methods of combating any particular religion. “Religion is a private matter”: this celebrated point in the Erfurt Programme (1891) summed up these political tactics of Social-Democracy. Such is the external history of the utterances of Marx and Engels on the question of religion. To people with a slapdash attitude towards Marxism, to people who cannot or will not think, this history is a skein of meaningless Marxist contradictions and waverings, a hodge-podge of “consistent” atheism and “sops” to religion, “unprincipled” wavering between a r-r-revolutionary war on God and a cowardly desire to “play up to” religious workers, a fear of scaring them away, etc., etc. The literature of the anarchist phrase-mongers contains plenty of attacks on Marxism in this vein. But anybody who is able to treat Marxism at all seriously, to ponder over its philosophical principles and the experience of international Social-Democracy, will readily see that the Marxist tactics in regard to religion are thoroughly consistent, and were carefully thought out by Marx and Engels; and that what dilettantes or ignoramuses regard as wavering is but a direct and inevitable deduction from dialectical materialism. It would be a profound mistake to think that the seeming “moderation” of Marxism in regard to religion is due to supposed “tactical” considerations, the desire “not to scare away” anybody, and so forth. On the contrary, in this question, too, the political line of Marxism is inseparably bound up with its philosophical principles. Marxism is materialism. As such, it is as relentlessly hostile to religion as was the materialism of the eighteenth-century Encyclopaedists or the materialism of Feuerbach. This is beyond doubt. But the dialectical materialism of Marx and Engels goes further than the Encyclopaedists and Feuerbach, for it applies the materialist philosophy to the domain of history, to the domain of the social sciences. We must combat religion—that is the ABC of all materialism, and consequently of Marxism. But Marxism is not a materialism which has stopped at the ABC. Marxism goes further. It says: We must know how to combat religion, and in order to do so we must explain the source of faith and religion among the masses in a materialist way. The combating of religion cannot be confined to abstract ideological preaching, and it must not be reduced to such preaching. It must be linked up with the concrete practice of the class movement, which aims at eliminating the social roots of religion. Why does religion retain its hold on the backward sections of the town proletariat, on broad sections of the semi-proletariat, and on the mass of the peasantry? Because of the ignorance of the people, replies the bourgeois progressist, the radical or the bourgeois materialist. And so: “Down with religion and long live atheism; the dissemination of atheist views is our chief task!” The Marxist says that this is not true, that it is a superficial view, the view of narrow bourgeois uplifters. It does not explain the roots of religion profoundly enough; it explains them, not in a materialist but in an idealist way. In modern capitalist countries these roots are mainly social. The deepest root of religion today is the socially downtrodden condition of the working masses and their apparently complete helplessness in face of the blind forces of capitalism, which every day and every hour inflicts upon ordinary working people the most horrible suffering and the most savage torment, a thousand times more severe than those inflicted by extra-ordinary events, such as wars, earthquakes, etc. “Fear made the gods.” Fear of the blind force of capital—blind because it cannot be foreseen by the masses of the people—a force which at every step in the life of the proletarian and small proprietor threatens to inflict, and does inflict “sudden”, “unexpected”, “accidental” ruin, destruction, pauperism, prostitution, death from starvation—such is the root of modern religion which the materialist must bear in mind first and foremost, if he does not want to remain an infant-school materialist. No educational book can eradicate religion from the minds of masses who are crushed by capitalist hard labour, and who are at the mercy of the blind destructive forces of capitalism, until those masses themselves learn to fight this root of religion, fight the rule of capital in all its forms, in a united, organised, planned and conscious way. Does this mean that educational books against religion are harmful or unnecessary? No, nothing of the kind. It means that Social-Democracy’s atheist propaganda must be subordinated to its basic task—the development of the class struggle of the exploited masses against the exploiters. This proposition may not be understood (or at least not immediately understood) by one who has not pondered over the principles of dialectical materialism, i. e., the philosophy of Marx and Engels. How is that?—he will say. Is ideological propaganda, the preaching of definite ideas, the struggle against that enemy of culture and progress which has persisted for thousands of years (i. e., religion) to be subordinated to the class struggle, i. e., the struggle for definite practical aims in the economic and political field? This is one of those current objections to Marxism which testify to a complete misunderstanding of Marxian dialectics. The contradiction which perplexes these objectors is a real contradiction in real life, i. e., a dialectical contradiction, and not a verbal or invented one. To draw a hard-and-fast line between the theoretical propaganda of atheism, i. e., the destruction of religious beliefs among certain sections of the proletariat, and the success, the progress and the conditions of the class struggle of these sections, is to reason undialectically, to transform a shifting and relative boundary into an absolute boundary; it is forcibly to disconnect what is indissolubly connected in real life. Let us take an example. The proletariat in a particular region and in a particular industry is divided, let us assume, into an advanced section of fairly class-conscious Social-Democrats, who are of course atheists, and rather backward workers who are still connected with the countryside and with the peasantry, and who believe in God, go to church, or are even under the direct influence of the local priest—who, let us suppose, is organising a Christian labour union. Let us assume furthermore that the economic struggle in this locality has resulted in a strike. It is the duty of a Marxist to place the success of the strike movement above everything else, vigorously to counteract the division of the workers in this struggle into atheists and Christians, vigorously to oppose any such division. Atheist propaganda in such circumstances may be both unnecessary and harmful—not from the philistine fear of scaring away the backward sections, of losing a seat in the elections, and so on, but out of consideration for the real progress of the class struggle, which in the conditions of modern capitalist society will convert Christian workers to Social-Democracy and to atheism a hundred times better than bald atheist propaganda. To preach atheism at such a moment and in such circumstances would only be playing into the hands of the priest and the priests, who desire nothing better than that the division of the workers according to their participation in the strike movement should be replaced by their division according to their belief in God. An anarchist who preached war against God at all costs would in effect be helping the priests and the bourgeoisie (as the anarchists always do help the bourgeoisie in practice). A Marxist must be a materialist, i. e., an enemy of religion, but a dialectical materialist, i. e., one who treats the struggle against religion not in an abstract way, not on the basis of remote, purely theoretical, never varying preaching, but in a concrete way, on the basis of the class struggle which is going on in practice and is educating the masses more and better than anything else could. A Marxist must be able to view the concrete situation as a whole, he must always be able to find the boundary between anarchism and opportunism (this boundary is relative, shifting and changeable, but it exists). And he must not succumb either to the abstract, verbal, but in reality empty “revolutionism’˜ of the anarchist, or to the philistinism and opportunism of the petty bourgeois or liberal intellectual, who boggles at the struggle against religion, forgets that this is his duty, reconciles himself to belief in God, and is guided not by the interests of the class struggle but by the petty and mean consideration of offending nobody, repelling nobody and scaring nobody—by the sage rule: “live and let live”, etc., etc. It is from this angle that all side issues bearing on the attitude of Social-Democrats to religion should be dealt with. For example, the question is often brought up whether a priest can be a member of the Social-Democratic Party or not, and this question is usually answered in an unqualified affirmative, the experience of the European Social-Democratic parties being cited as evidence. But this experience was the result, not only of the application of the Marxist doctrine to the workers’ movement, but also of the special historical conditions in Western Europe which are absent in Russia (we will say more about these conditions later), so that an unqualified affirmative answer in this case is incorrect. It cannot be asserted once and for all that priests cannot be members of the Social-Democratic Party; but neither can the reverse rule be laid down. If a priest comes to us to take part in our common political work and conscientiously performs Party duties, without opposing the programme of the Party, he may be allowed to join the ranks of the Social-Democrats; for the contradiction between the spirit and principles of our programme and the religious convictions of the priest would in such circumstances be something that concerned him alone, his own private contradiction; and a political organisation cannot put its members through an examination to see if there is no contradiction between their views and the Party programme. But, of course, such a case might be a rare exception even in Western Europe, while in Russia it is altogether improbable. And if, for example, a priest joined the Social-Democratic Party and made it his chief and almost sole work actively to propagate religious views in the Party, it would unquestionably have to expel him from its ranks. We must not only admit workers who preserve their belief in God into the Social-Democratic Party, but must deliberately set out to recruit them; we are absolutely opposed to giving the slightest offence to their religious convictions, but we recruit them in order to educate them in the spirit of our programme, and not in order to permit an active struggle against it. We allow freedom of opinion within the Party, but to certain limits, determined by freedom of grouping; we are not obliged to go hand in hand with active preachers of views that are repudiated by the majority of the Party. Let us now pass to the conditions which in the West gave rise to the opportunist interpretation of the thesis: “religion is a private matter”. Of course, a contributing influence are those general factors which give rise to opportunism as a whole, like sacrificing the fundamental interests of the working-class movement for the sake of momentary advantages. The party of the proletariat demands that the state should declare religion a private matter, but does not regard the fight against the opium of the people, the fight against religious superstitions, etc., as a “private matter”. The opportunists distort the question to mean that the Social-Democratic Party regards religion as a private matter! But in addition to the usual opportunist distortion (which was not made clear at all in the discussion within our Duma group when it was considering the speech on religion), there are special historical conditions which have given rise to the present-day, and, if one may so express it, excessive, indifference on the part of the European Social-Democrats to the question of religion. These conditions are of a twofold nature. First, the task of combating religion is historically the task of the revolutionary bourgeoisie, and in the West this task was to a large extent performed (or tackled) by bourgeois democracy, in the epoch of its revolutions or its assaults upon feudalism and medievalism. Both in France and in Germany there is a tradition of bourgeois war on religion, and it began long before socialism (the Encyclopaedists, Feuerbach). In Russia, because of the conditions of our bourgeois-democratic revolution, this task too falls almost entirely on the shoulders of the working class. Petty-bourgeois (Narodnik) democracy in our country has not done too much in this respect (as the new-fledged Black-Hundred Cadets, or Cadet Black Hundreds, of Vekhi think), but rather too little, in comparison with what has been done in Europe. On the other hand, the tradition of bourgeois war on religion has given rise in Europe to a specifically bourgeois distortion of this war by anarchism—which, as the Marxists have long explained time and again, takes its stand on the bourgeois world-outlook, in spite of all the “fury” of its attacks on the bourgeoisie. The anarchists and Blanquists in the Latin countries, Most (who, incidentally, was a pupil of Dühring) and his ilk in Germany, the anarchists in Austria in the eighties, all carried revolutionary phrase-mongering in the struggle against religion to a nec plus ultra. It is not surprising that, compared with the anarchists, the European Social-Democrats now go to the other extreme. This is quite understandable and to a certain extent legitimate, but it would be wrong for us Russian Social-Democrats to forget the special historical conditions of the West. 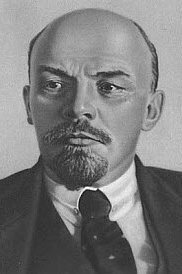 Secondly, in the West, after the national bourgeois revolutions were over, after more or less complete religious liberty had been introduced, the problem of the democratic struggle against religion had been pushed, historically, so far into the background by the struggle of bourgeois democracy against socialism that the bourgeois governments deliberately tried to draw the attention of the masses away from socialism by organising a quasi-liberal “offensive” against clericalism. Such was the character of the Kulturkampf in Germany and of the struggle of the bourgeois republicans against clericalism in France. Bourgeois anti-clericalism, as a means of drawing the attention of the working-class masses away from socialism—this is what preceded the spread of the modern spirit of “indifference” to the struggle against religion among the Social-Democrats in the West. And this again is quite understandable and legitimate, because Social-Democrats had to counteract bourgeois and Bismarckian anti-clericalism by subordinating the struggle against religion to the struggle for socialism. In Russia conditions are quite different. The proletariat is the leader of our bourgeois-democratic revolution. Its party must be the ideological leader in the struggle against all attributes of medievalism, including the old official religion and every attempt to refurbish it or make out a new or different case for it, etc. Therefore, while Engels was comparatively mild in correcting the opportunism of the German Social-Democrats who were substituting, for the demand of the workers’ party that the state should declare religion a private matter, the declaration that religion is a private matter for the Social-Democrats themselves, and for the Social-Democratic Party, it is clear that the importation of this German distortion by the Russian opportunists would have merited a rebuke a hundred times more severe by Engels. By declaring from the Duma rostrum that religion is the opium of the people, our Duma group acted quite correctly, and thus created a precedent which should serve as a basis for all utterances by Russian Social-Democrats on the question of religion. Should they have gone further and developed the atheist argument in greater detail? We think not. This might have brought the risk of the political party of the proletariat exaggerating the struggle against religion; it might have resulted in obliterating the distinction between the bourgeois and the socialist struggle against religion. The first duty of the Social-Democratic group in the Black-Hundred Duma has been discharged with honour. The second duty—and perhaps the most important for Social-Democrats—namely, to explain the class role of the church and the clergy in supporting the Black-Hundred government and the bourgeoisie in its fight against the working class, has also been discharged with honour. Of course, very much more might be said on this subject, and the Social-Democrats in their future utterances will know how to amplify Comrade Surkov’s speech; but still his speech was excellent, and its circulation by all Party organisations is the direct duty of our Party. The third duty was to explain in full detail the correct meaning of the proposition, so often distorted by the German opportunists, that “religion is a private matter”. This, unfortunately, Comrade Surkov did not do. It is all the more regrettable because in the earlier activity of the Duma group a mistake had been committed on this question by Comrade Belousov, and was pointed out at the time by Proletary. The discussion in the Duma group shows that the dispute about atheism has screened from it the question of the proper interpretation of the celebrated demand that religion should be proclaimed a private matter. We shall not blame Comrade Surkov alone for this error of the entire Duma group. More, we shall frankly admit that the whole Party is at fault here, for not having sufficiently elucidated this question and not having sufficiently prepared the minds of Social-Democrats to understand Engels’s remark levelled against the German opportunists. The discussion in the Duma group proves that there was in fact a confused understanding of the question, and not at all any desire to ignore the teachings of Marx; and we are sure that the error will be corrected in future utterances of the group. We repeat that on the whole Comrade Surkov’s speech was excellent, and should be circulated by all the organisations. In its discussion of this speech the Duma group demonstrated that it is fulfilling its Social-Democratic duty conscientiously. It remains to express the wish that reports on discussions within the Duma group should appear more often in the Party press so as to bring the group and the Party closer together, to acquaint the Party with the difficult work being done within the group, and to establish ideological unity in the work of the Party and the Duma group.